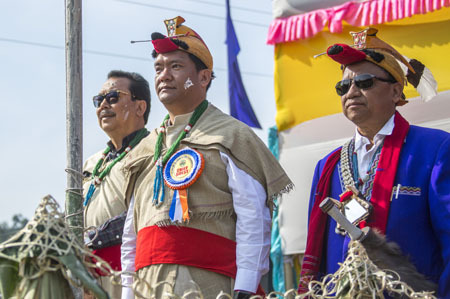 DOLLUNGMUKH, Feb 6: Chief Minister Pema Khandu, along with Deputy Chief Minister Chowna Mein attended the 52nd Boori Boot Yullo festival here on Wednesday. Speaking on the occasion, the chief minister appealed to the people for preservation of local languages and lamented on usage of non-local languages in homes here. The CM requested community based-organizations to discuss on the gradual decline of local languages in their community platform. 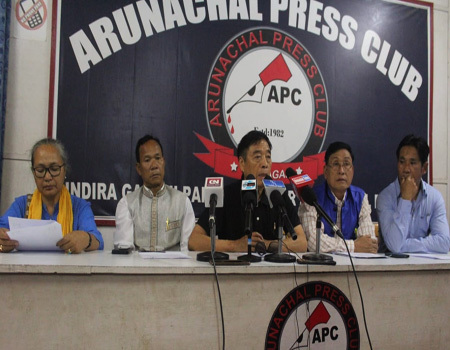 Lauding the diversity of Arunachal, he said “the diversity the state offers is unchallenged” and expressed being proud of it. He appealed to the people to make use of such rich cultural diversity for promotion of tourism. true rich indigenous culture that is authentic and pure,” the chief minister said, adding that cultural tourism is among the fastest growing components of the tourism industry today. 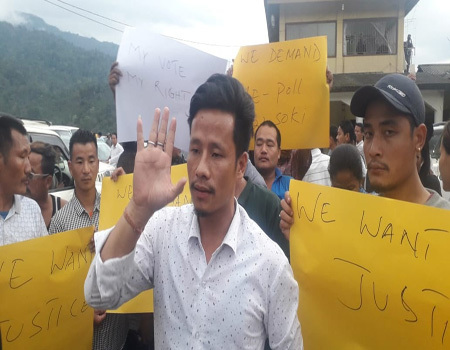 Speaking on development issues, the chief minister said that the demand for creation of Kamle district was accepted considering the vast geographical area of Raga constituency, its isolation and backwardness. He said the state government will continue to support for creation of infrastructures in the district. On a public memorandum, the chief minister assured to sanction fund for construction of SDO secretariat building here and for repair and maintenance of existing government office infrastructure. Earlier, the chief minister unfurled the festival flag, which was followed by singing of flag song. He also released an audio album – Kamle Archive II. The festival witnessed the grand display of Punu/Jajin and Boori Yapa dance.